Newsflash! 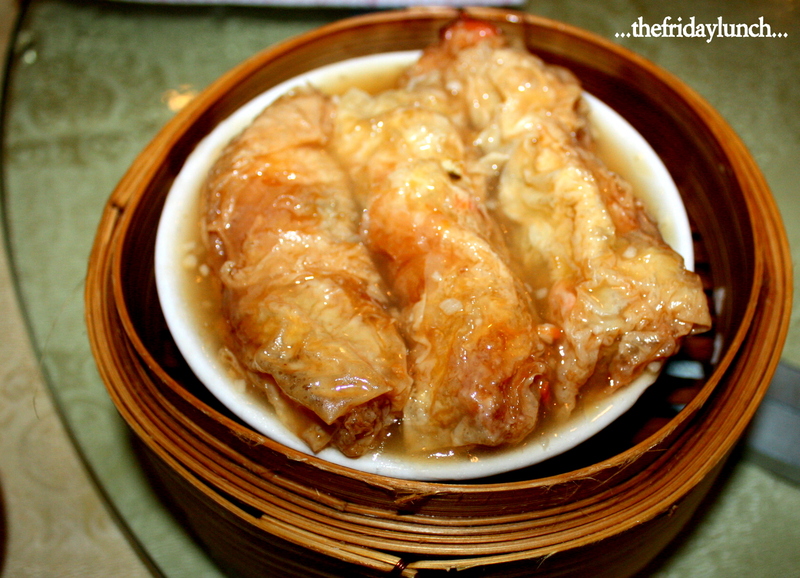 There’s actually good Dim Sum in North Burnaby! 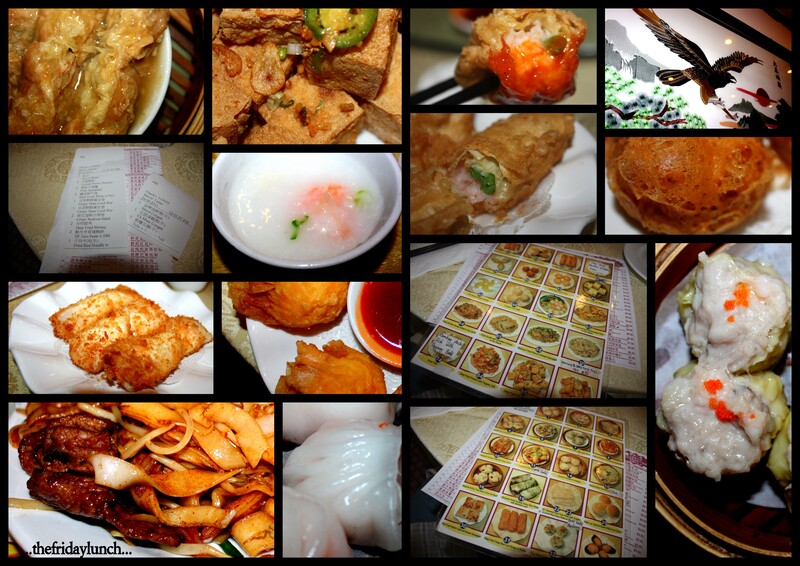 A couple of Fridays ago, my mission was to get the gang in the mood for Dim Sum. Part of that mission was also to do a reasonably priced Friday lunch. Nothing scares fellow diners off more than a continuing string of expensive meals. When I brought up Wah Lun Chinese Restaurant on Hastings in North Burnaby, the idea was met with, “Why don’t you try it on your own gut first“. You see, the internets are full of so-so opinions about this place. There are also a bunch of positive comments out there and because Burnaby is sorely lacking in decent Dim Sum restaurants, I figure it’s best to check out each and every one. In the end the “Let’s all give it a shot” sentiment won out. So, on an absolutely horrendous rain-soaked day, seven hearty souls trundled to the northern reaches of Burnaby to see what was really up at Wah Lun. The checklist menu here has most of the usual suspects as well as a boatload more. What jumped out right away was the assortment of interesting dessert items. Not just egg tarts and coconut jello here. Unfortunately, no one had room after the dim sum feast. 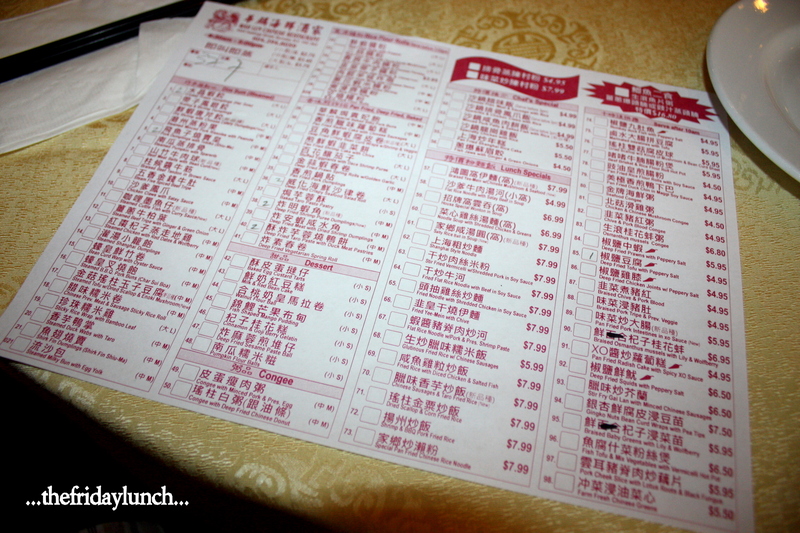 After many, many dim sum lunches of late, I figure I’ll order at least one or two items I’ve yet to try. There’s always the must-haves, but variety is…well, you know. 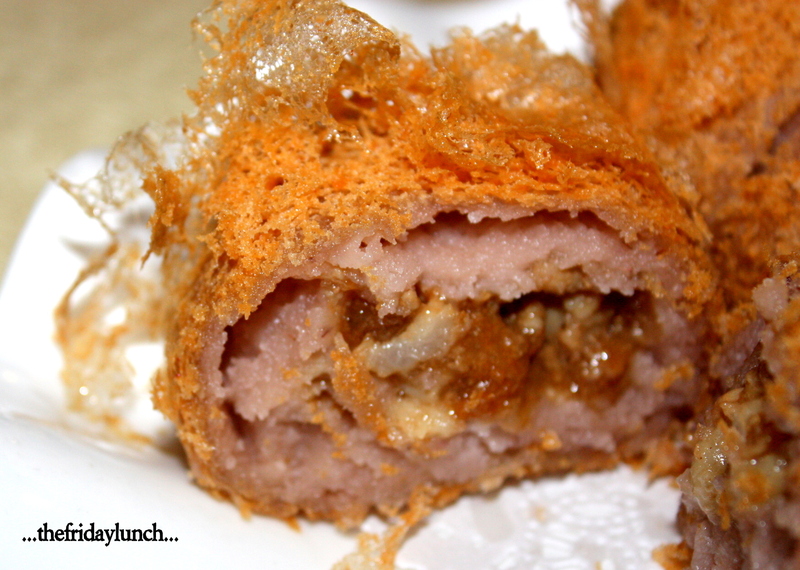 One item here that caught my attention was the Deep Fried Crispy Seafood Salad Roll. Damn tasty. Not what we’d expected, tho. The word “salad” in the description actually refers to “fruit salad“, as in Del Monte Fruit Salad. You know, the one’s Mom packed in your lunch. Along with shrimp and mayo we each got a hunk of fruit…some grape, some peach, etc. I snagged a cube of pear. Weird. Unique. Salty. Sweet. Crunchy. Delicious. 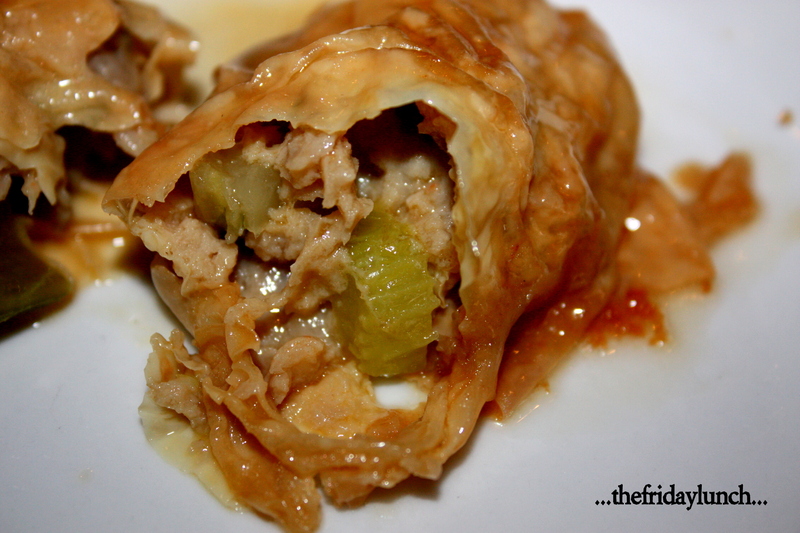 The Bean Curd Wrap with Oyster Sauce was, to me, exceptional. A nice, thin tofu skin surrounding minced pork and diced celery bathed in a thickened stock with just enough oyster sauce. 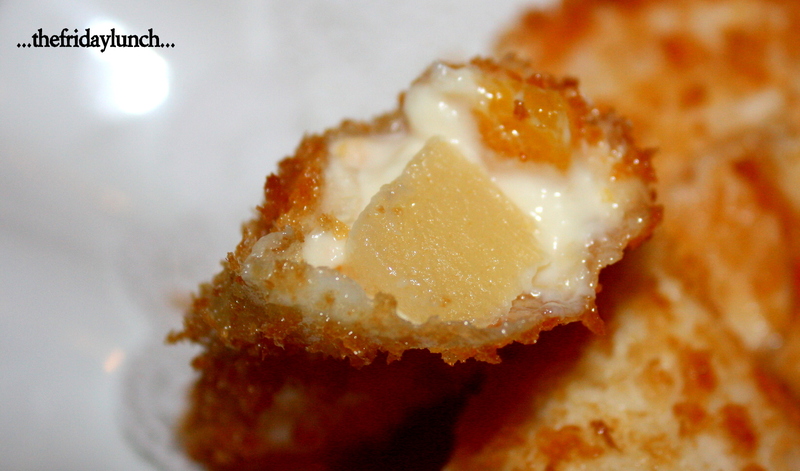 Next up, more delicious deep-fried goodness. Deep Fried Shrimp Puree Dumplings. AKA Fiery Hot Mouth Bombs! I’m much more used to dim sum plates arriving on the tepid side. These were about thirty seconds outta the fryer and dangerously hot…fresh as could be. They’re served with a bit-too-sweet of a sauce. A dip in chile oil worked well here. 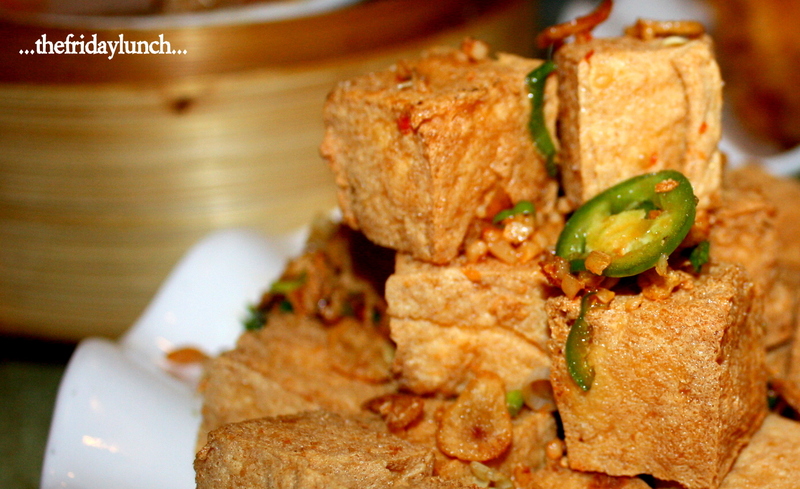 There’s something about deep-fried tofu skin. I think maybe it’s the texture…how it bubbles up and becomes ultra-light and crisp. It’s also got a great chew to it. Whatever it is, it works very well. 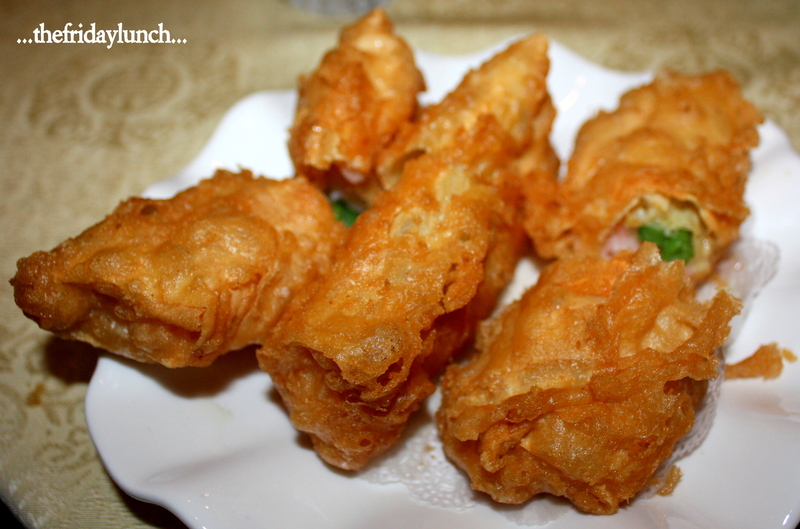 The Deep Fried Crispy Bean Curd Wrap with Shrimp and Veggie hit all the marks. 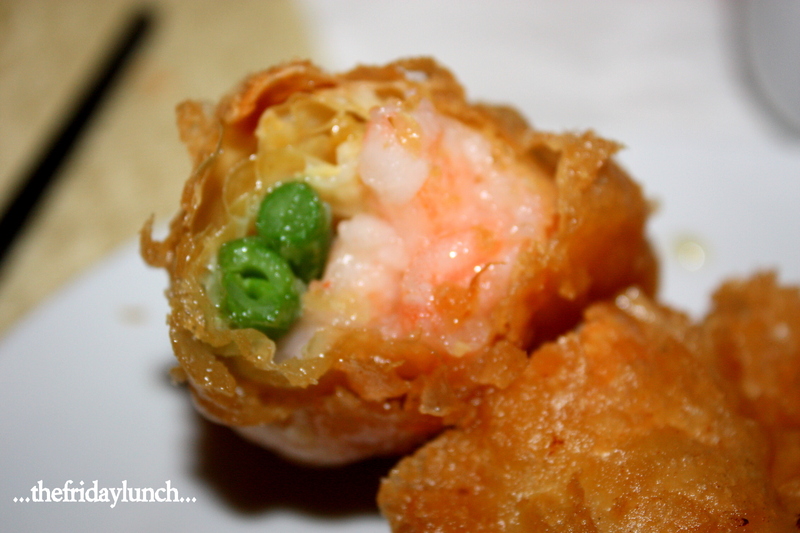 Big, snappy shrimp and crisp green beans encased in fried tofu skin…very crunchy on one side yet still soft on the other. A great palate-pleaser. 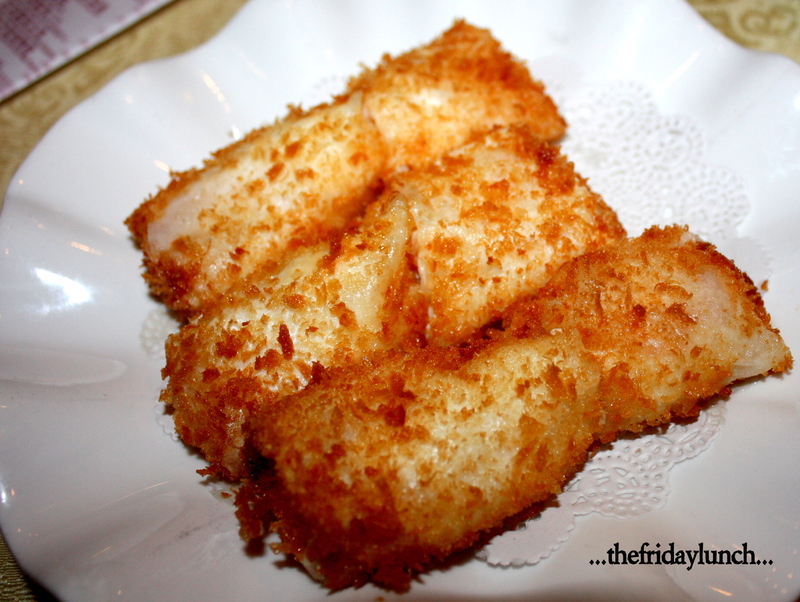 Keeping on with the bean curd theme we got some Deep-Fried Tofu with Peppery Salt. Very light with barely a hint of oil. Fried garlic chips and jalapeño slices added some flavor but not nearly enough. A quick toss in an oiled pan after the deep-fryer would’ve helped mightily. Let those dry cubes soak up some garlicky, greasy jalapeñoes, I say! 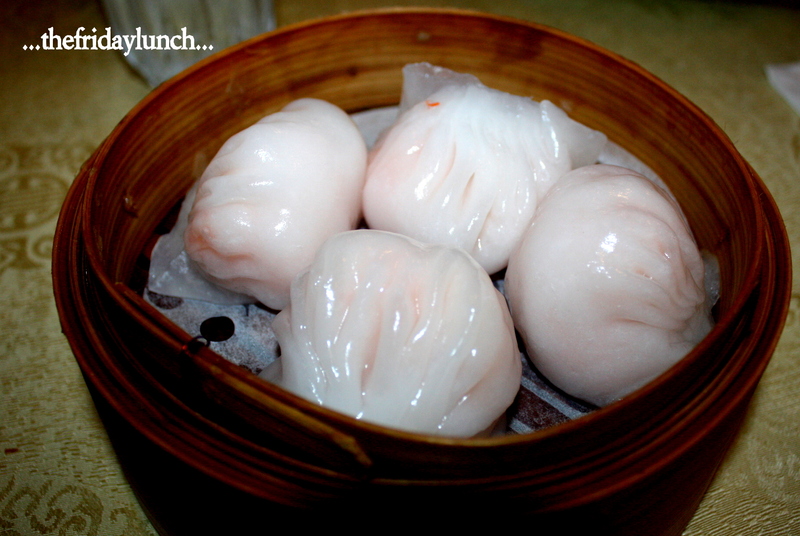 The Har Gow (Crystal Prawn Dumpling) were big, plump and very fresh…steamed perfectly. Good value at around a buck apiece. Things around here seem virtually made-to-order…no wilty, over-cooked nonsense. One of my all-time favorites is Wu Gok. 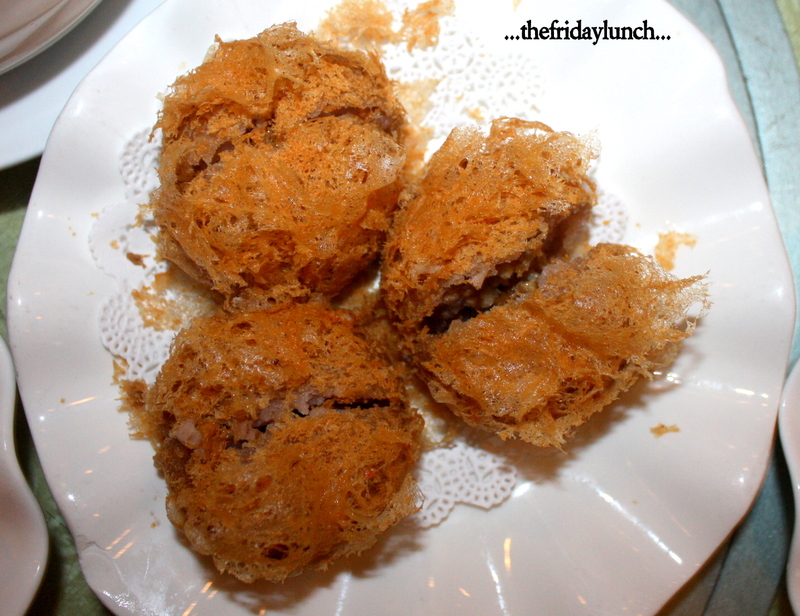 These deep-fried taro pastries are usually prepared with minced pork. Wah Lun’s version uses duck meat instead. The taro paste is still the predominant flavor so whatever meat filler there is doesn’t matter much. A very good, solid Wu Gok all round. 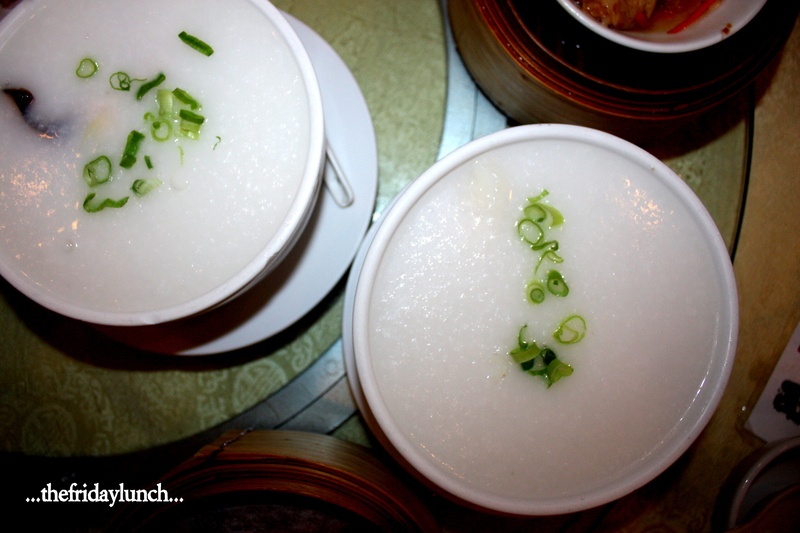 To top it all off, we grabbed a couple bowls of congee. Silky smooth and seriously satisfying. One loaded with chicken and mushroom, the other jam-packed with seafood. The perfect antidote for a very rainy, blustery afternoon. This entry was posted on July 11, 2011 by Karl. It was filed under Burnaby, Chinese, Congee, Dim Sum, Dumplings, Har Gow, Shrimp, Tofu, Wu Gok and was tagged with Burnaby, chinese, Dim Sum, Dumplings. Thank you so much for yet another thorough post! Wow, no way. Thanks for TOFTT, Karl !! 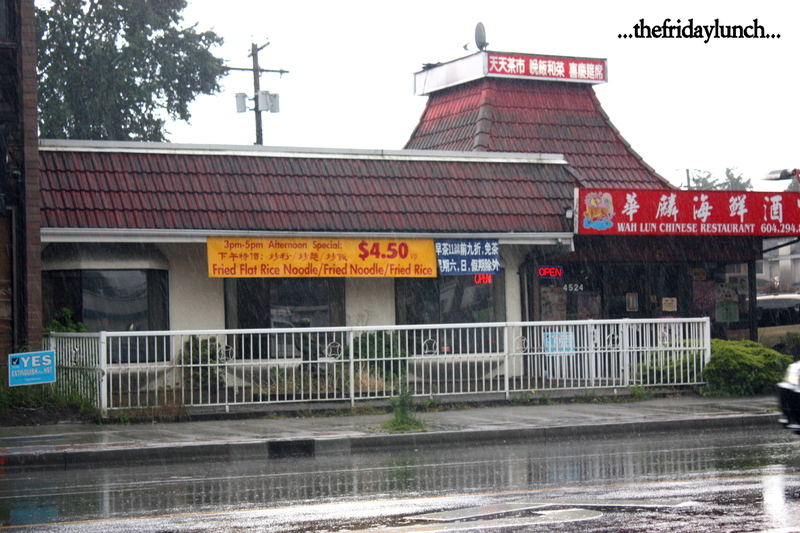 Burnaby trivia: who can name the classic establishment that was this location eons ago ? Hi, Dayment! You’re welcome! Glad you’re enjoying the site. Hey, LR! You missed quite the feed at Le Petit. Hope you can get out to the next one. There’s always a seat for you! Hi, Lily! You beat me to the punch! She is right, isn’t she, LR? Ding, ding, ding ….. Lily’s got it right first ! When your schedule allows, feel free to pick a resto…pretty sure you’ve got a few in mind. I’ll round up the troops. No way! I pass by this place all the time… and have been scared to go in… but those shrimp dumplings look pretty sizable. There isn’t some screaming Chinese owner inside like at Po King tho right? Hey Munchkie! Stop in next time and give it a whirl. Love to know whatcha think. I never got around to mention how friendly the servers were. They were awesome! They even brought us picture menus in case we couldn’t read the checklist! The Hog Shack in Steveston has definitely piqued my interest. Maybe later in July when summer(?!?) finally hits us ? Hmmmmm. An Asian-run Kansas City BBQ joint. Sounds slightly intriguing, LR. The pulled-pork pancakes look phenomenal! Should we aim for August 7th? Looks like a gut-buster. I know, WTH do the Chinese know about Southern BBQ anyway ?!? [sarcasm]. We leave for vacation on the 7th, plan to be back in town on 13 or 14th. How’s BC Day long wknd ? I was trying to avoid the long weekend…tough to get a crowd together. I’m more than willing to give it a shot, though. Let’s see what happens! Had to stop watching after 4 minutes. Although it’s not nearly as disgusting as this: http://www.youtube.com/watch?v=BEP6gAQCPcg And it’s in HD!! Honestly, I don’t get it. Seems as stupid as rubbing chilies in your eyes. Oh, wait! Gordon Ramsay’s an idiot, btw.